Pun̐thira lekhā / Āśāpurṇā Debī. Kalakātā : Samakāla Prakāśanī, 1980. From the University of Chicago Library. 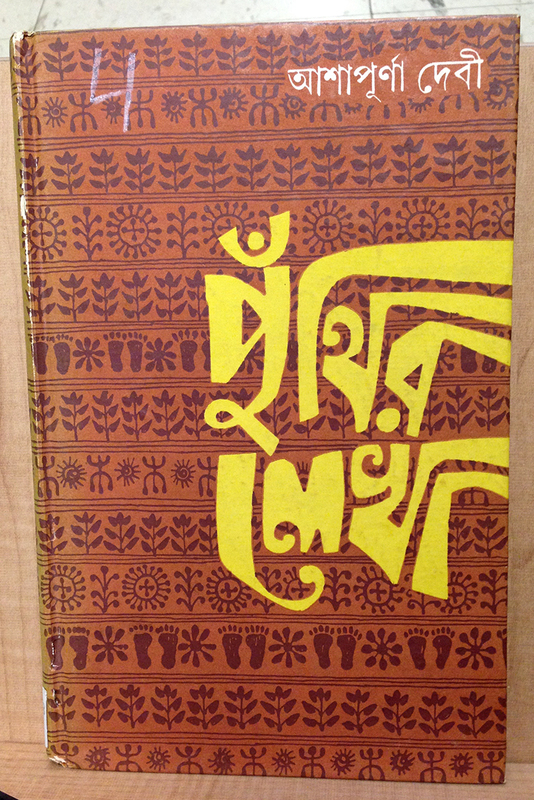 পুঁথির লেখা Punthir Lekha by আশাপূর্ণা দেবী Ashapoorna Devi. Wow, Ashapoorna Devi was an amazingly accomplished writer. I’m glad to have learned of her through this book cover. Punthir Lekha means “Written Manuscripts”. I’ll always love this “cut paper”-type aesthetic.